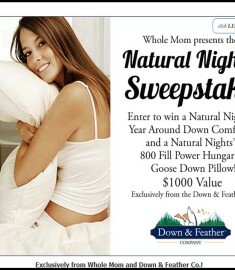 Natural Nights is giving you the chance to win free bedding, a year around down comforter and goose down pillow. The total value of this win free bedding sweepstakes is $1000! This bedding is provided exclusively from the Down & Feather company. Make sure you do no miss out of the chance to spend your nights in comfort and luxury and enter on the Whole Mom Facebook page. Sleep is super important for good health. Good sleep in the right amounts is linked to ability to maintain a healthy weight, keeping the brain healthy, reduced stress, helps you looking younger and many more surprising health benefits from good sleep. So what reason would anyone have for not getting to bed. If you have luxurious goose down bedding you know you are going to want to hit the hay and get some serious shut eye. The chance to win free bedding will help you get the right amount of time in the land of nod. 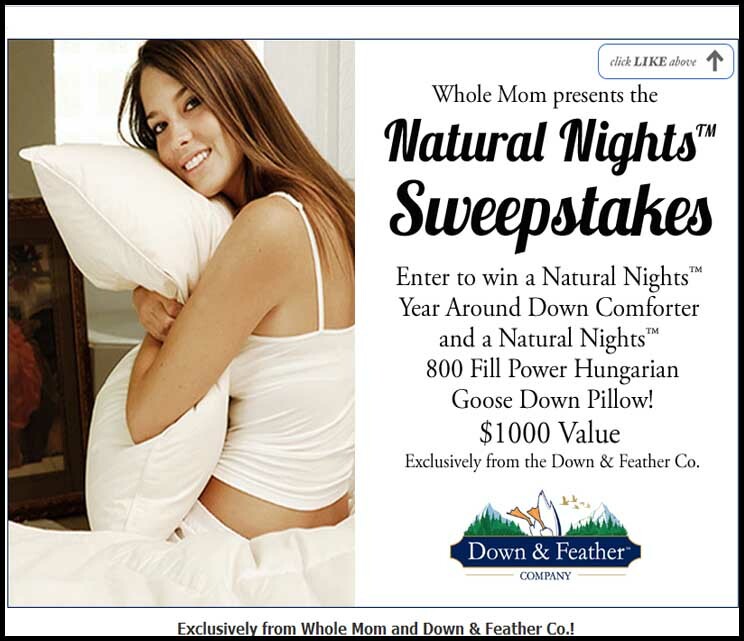 Enter before the closing date of November 2nd, 2013 for your chance to rest your tired little head on soft goose down pillows and wrap yourself in the coziest comforter around. We are heading into fall and winter is just around the corner, the desire to hibernate is coming, so do it in style. Picture a cold winter night, hot chocolate, fire roaring and your luxury goose down pillows and year around down comforter to keep you warm. The free bedding sweepstakes is awesome and you could know how the rich people feel when they go to bed at night. I’m guessing it feel pretty darn good!